The Law Offices of Weiss & Weiss are located within walking distance of both New York State Supreme Court (Westchester County) and the United States District Court for the Southern District of New York (White Plains). Our firm handles cases in all forums, including these two Courts. This blog post will discuss the differences between litigating cases in state court as opposed to federal court. Generally, most civil cases handled by our firm are filed in New York State Supreme Court. Despite its name, New York State Supreme Court is the lowest level of trial court in the State, and is used generally for litigating cases where the amount in dispute is greater than $25,000.00. Each county in the State has its own Supreme Court, so, for the “downstate” portion of New York State, there are Supreme Courts in each of the five boroughs, named for the counties in which they are located (New York, Kings, Queens, Bronx, and Richmond), as well as Nassau, Suffolk, Westchester, and Putnam). 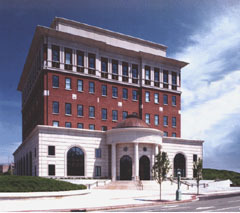 The Westchester Supreme Court is located at 111 Dr. Martin Luther King Boulevard in downtown White Plains, a few blocks from Weiss & Weiss. In order to “make a federal case out of it,” there are certain requirements that must be met to file a case in United States District Court for the Southern District of New York. The Southern District has Courthouses in downtown Manhattan, as well as downtown White Plains. All bankruptcy cases are filed and heard in Federal Court. Therefore, when a debtor files for bankruptcy, our firm is able to file a bankruptcy claim in the White Plains Federal Courthouse on behalf of any creditor that our firm represents. Other than bankruptcy, there are certain cases that involve federal statutes. Federal Courts would have jurisdiction over these cases. Examples of such federal statutes are copyright and trademark matters, cases involving interstate commerce matters, interstate transportation, and cases involving insurance obtained on behalf of servicepersons in the United States military. Our firm has litigated all of these types of cases. They involve interpretation of federal statutes which apply to the entire country, as opposed to just New York State. For this reason, any lawsuit involving these subject matters are generally filed in Federal Court on behalf of our clients. Federal Judges are appointed by the President, are subject to approval by the Senate, and have a life term, unlike New York State Supreme Court judges, who are elected for a limited term. Another type of “federal case” is one involving diversity of citizenship. A diversity case involves a litigation where the parties on each side are citizens of different states. In addition to a diversity requirement, a case brought under diversity must also involve a case involving a sum exceeding $75,000.00, as well as other statutory requirements. The diversity statute also requires that, if there are co-defendants or co-plaintiffs, that they also be citizens of different states. Occasionally, a case may be transferred from State Court to Federal Court, or vice-versa, on the motion of one of the parties. This may happen when there is a dispute over which Court has jurisdiction, and the Court itself will render a decision over the correct venue for the case. Our firm has extensive experience litigating in both New York State Courts and Federal Courts [link to litigation]. The main difference we have experienced is that the Judges in federal court generally maintain much tighter control over the management of their cases. When a case is filed in New York State Supreme Court, a Judge is generally not assigned to it until the parties request it, through the filing of a Request for Judicial Intervention (RJI). Until that point, the attorneys litigating the case generally work with each other regarding case management and litigation deadlines. Conversely, when a case is filed in Federal Court, it is immediately assigned to a Judge. The Judge’s office will maintain tight control over the case, and, even if the attorneys for the litigating parties agree to extend deadlines, the Judge’s approval is needed for any such extensions. The Judge will also ensure that the parties are moving the case at a brisk pace, and their office will generally be in contact with the attorneys directly if no progress is being made in moving the litigation forward. Our firm invites inquiries from all parties who may have matters requiring litigation in New York State Court, or Federal Court.